Howl having a close encounter at Devil’s Tower, WY. 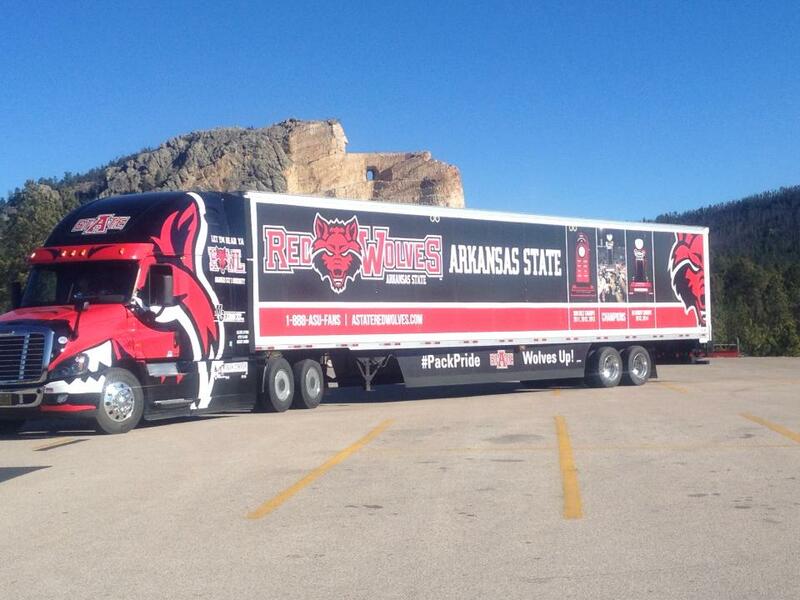 Can’t wait to see the Red Wolves have some encounters of their own in the endzone. 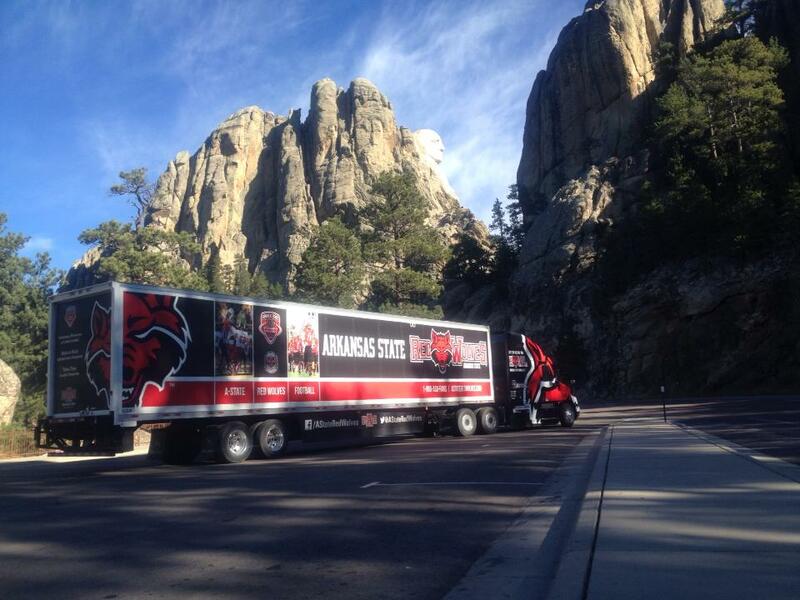 Mount Rushmore never looked better. Maybe one day they’ll put mascot Howl’s likeness up there. 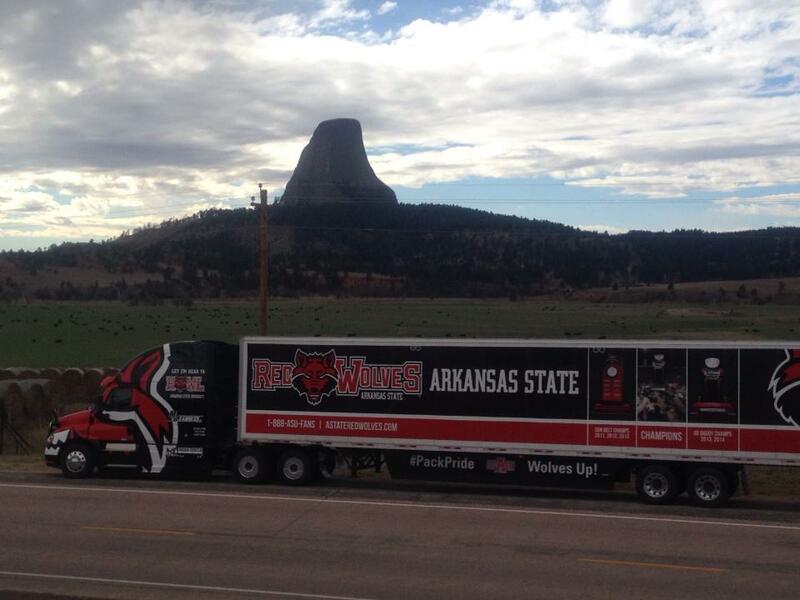 Howl at the Crazy Horse Monument. Remebering the first time we beat Idaho we were Indians. Oh the memories. Giv’em hell red! 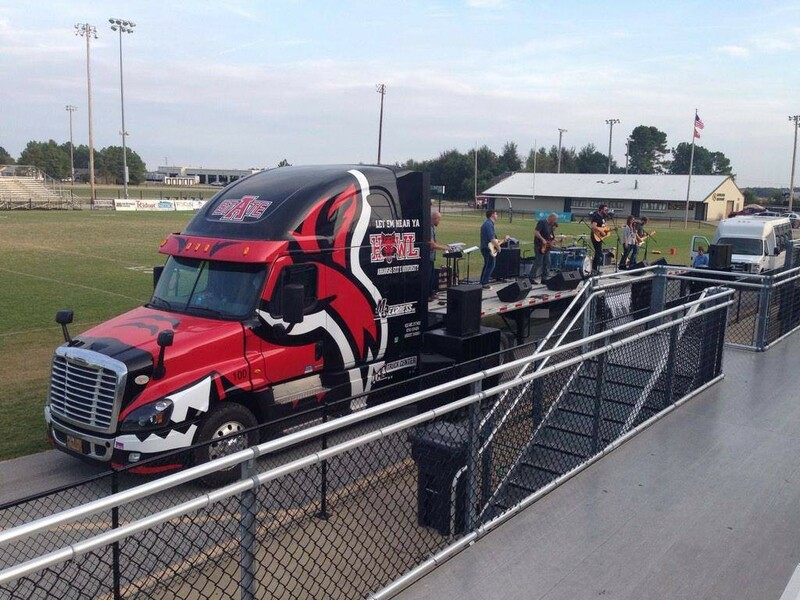 Fields of Faith…..Nettleton Raider Football Field…. MC Express has been serving the shipping industry as an irregular route carrier for over 20 years. The company was started in October 1994 with 2 trucks and one customer contract. 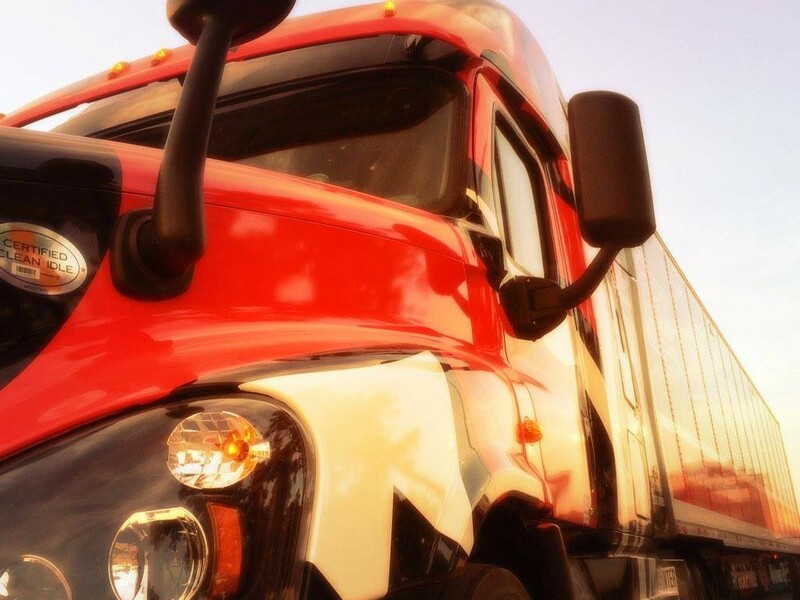 MC Express has developed an enviable reputation in the trucking industry over those 20+ years of performance on the highways of our nation. 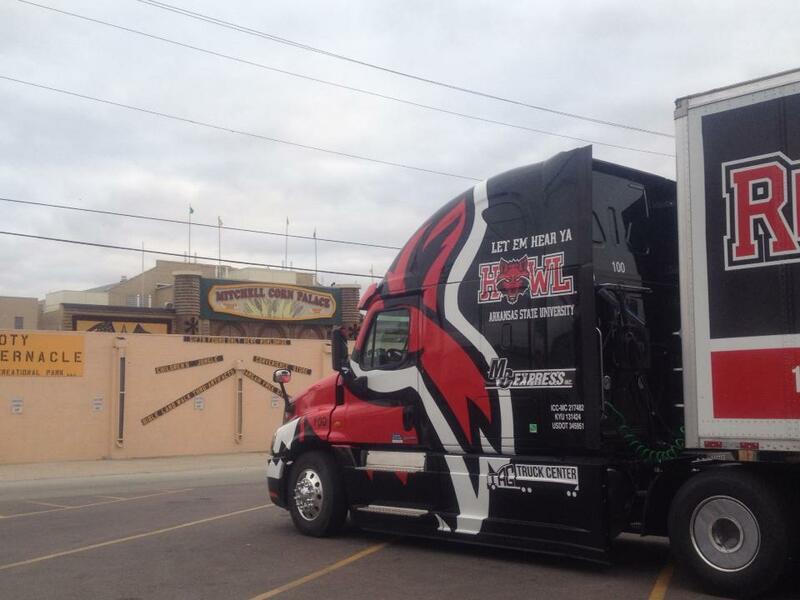 Since the beginning, we have provided efficient, reliable and professional transport solutions from coast to coast.